It’s the first week of February. It’s that time of year on the school calendar. 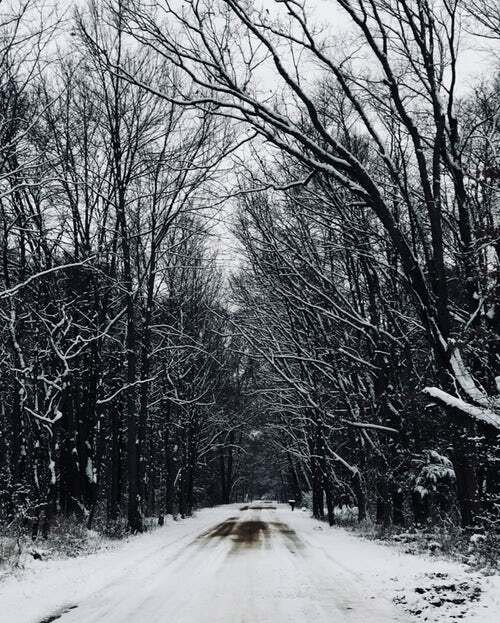 You’re in-between in the dead of winter. Sort of like the Laura Ingall’s Wilder family in the late 1800s, rolling across the desolate, flat, blustery plains of the Midwest in their rustic covered wagon, with no . . . end . . . in . . . sight. And, most definitely, no 7-Eleven’s to stop for a ®Big Gulp! The remaining stretch of terrain lying before you can appear overwhelming this time of year. I know, because I’ve been there. 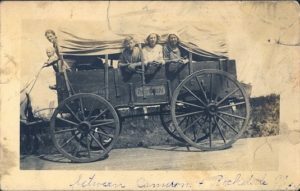 Our ‘wagon’ was packed with five busy boys, and led by two public-school educated, first-generation homeschooling pioneer-parents, hubby and me; intent on changing the world, but without much practical preparation. As you know, beginning is always more exciting than continuing. That’s why so many people give up in the middle. But if we’ll persist, it’s amazing how much treasure is hidden along the way. Here are 10 secrets I’ve unearthed as I’ve journeyed for 38 years in marriage and over 25 years in home education. If you’ll take them to heart, these nuggets of gold are guaranteed to propel you forward with momentum! 1. Capture afresh your initial revelation about home education. I undertook the daunting task of homeschooling my kids because of a revelation; I imagine you did, too. It may have come through observation of a successful homeschooling family, academic study or an online news story, but the result was what Oprah would call an “aha!” moment. This unfolding of new information, this striking disclosure, opened our eyes to see what we didn’t even know existed, and brought a revolution to our homes. Let it inspire and empower you once again! 2. Remember your vision. When we forget why we’re doing what we’re doing, we falter. Proverbs 28:19 shoots straight on this one: Where there is no vision, the people perish. Time and again, I reminded myself of the dream God put in my heart: to raise extraordinary young men who would have an impact in the earth. I can’t imagine a more ideal setting for training my sons in every facet of life, than at home with Mom and Dad and their brothers. However, the ‘ideal’ of which we dream is oft-times challenged by the ‘real’ in which we live. Which leads me to my next secret. 4. Hold on to your confidence! Confidence is powerful. Hebrews 10:35 reminds us, it will be richly rewarded. When our confidence is rocked, our resolve is substantially weakened. We begin to second-guess our parenting decisions and we become double-minded about our ability to carry out our mission to homeschool. Be like a dog with a bone, and don’t let go of your confidence! 5. Remember, ‘we live by faith!’ As believers in a living God, let’s not separate our ‘Sunday faith’ from our Monday mission as moms and dads! By faith, I encourage myself daily. By faith, I see my vision for my son’s futures unfolding before me. If we lean only upon our natural perceptions as we parent and home educate, we can be misled and quickly become discouraged. Many, many times, I must lift my gaze to see beyond what my five senses are telling me. Faith enables me to press on. Which brings me to my next secret . . .
6. Learn to persevere. In our hi-speed, fast food, microwave society, we want it now! We have to fight our human tendency to give up too quickly. Perseverance is defined as, ‘steadfastness in doing something, despite difficulty or delay in achieving success.’ It’s not a concept that initially summons happy thoughts, but James 1:4 promises that if we allow perseverance to ‘finish its work’ in us, we’ll become mature and complete, ‘lacking nothing.’ Perseverance isn’t something that comes naturally to most of us; it’s more like a muscle we must develop with consistent use. 8. Count it all joy! As homeschooling families, each day presents us with frequent irritations: spilled juice, dawdling students, rolling pencils, bickering siblings, lost books and continual interruptions. We usually have a split-second to decide whether to grumble or rejoice. Choose joy! Decide to be lighthearted about your light and momentary afflictions (2 Cor. 4:17), and you will sense God’s strength filling your heart (Neh. 8:10). Which leads me to my next secret. 10. Be the tortoise, not the hare. As fulltime parents and home educators, we have to think ‘marathon,’ not ‘sprint.’ A long-distance runner who fails to pace himself mentally and physically, runs real fast at the beginning, and fizzles out somewhere in the middle. I want you to make it to the finish line, not simply surviving the trip, but thriving along the way. I believe these 10 timeless secrets will equip you well for the road ahead. And let us not be weary in well doing: for in due season we shall reap, if we faint not (Gal. 6:9). Stay the course! Here’s a short video where I tell you a bit about my HS journey! I KNOW that parents are the superheroes of our culture and I can’t shut up about it! 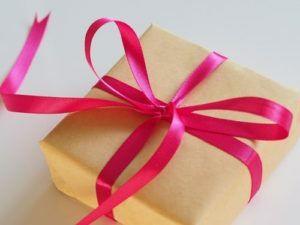 If you’re hungry for MORE in your parenting, grand parenting, midlife parenting and all things LIFE, sign up here and grab your free gift – I’m always brewing up something good to give away to my VIP subscribers to not only inspire but lift you higher!